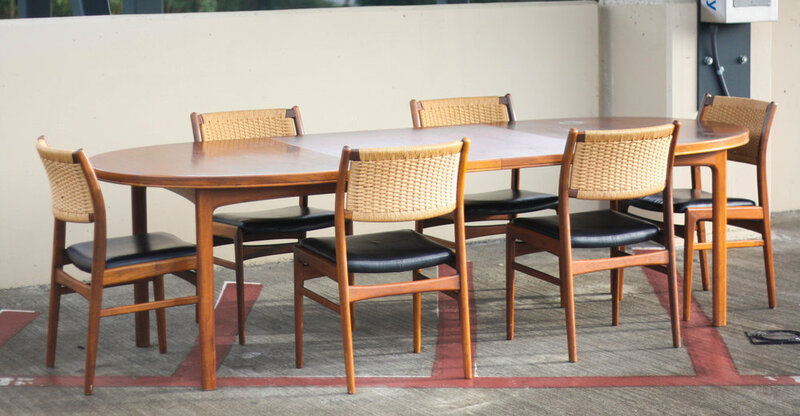 Designed by Sylve Stenquist for Dux in the late 1950's this set truly embodies modern design. 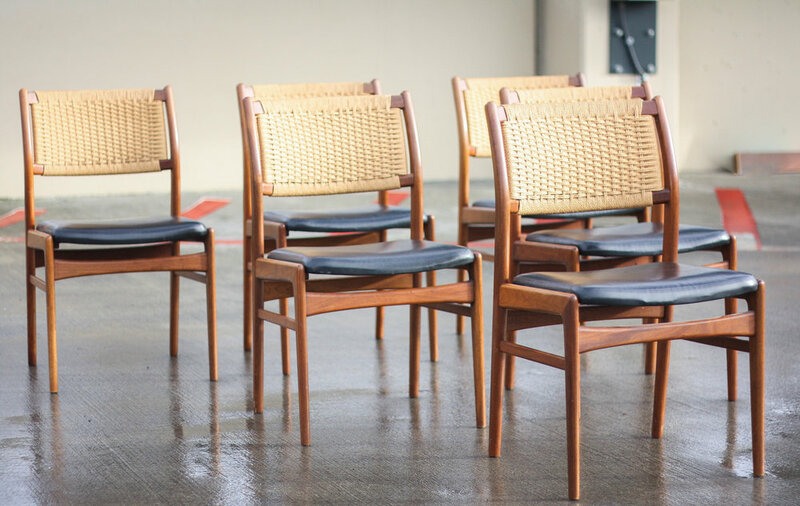 The set features 6 amazing minimalist dining chairs. 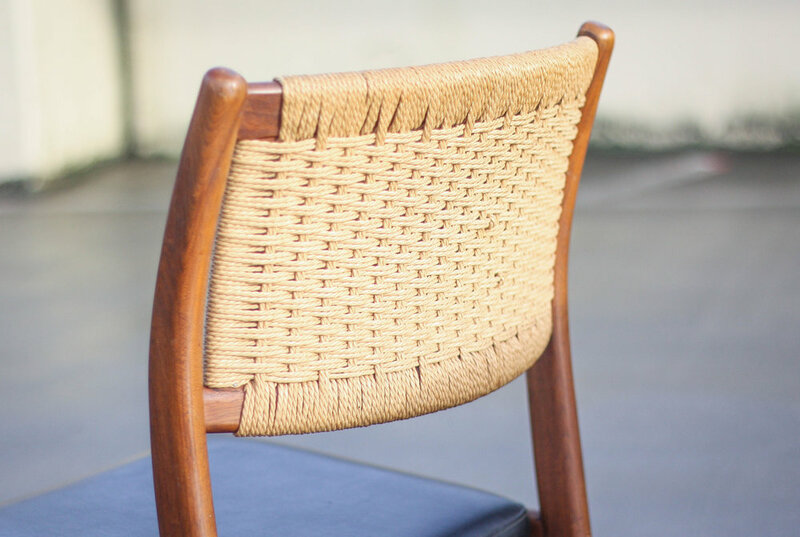 The chairs have a beautiful woven cane back with upholstered cushions and solid walnut frames. 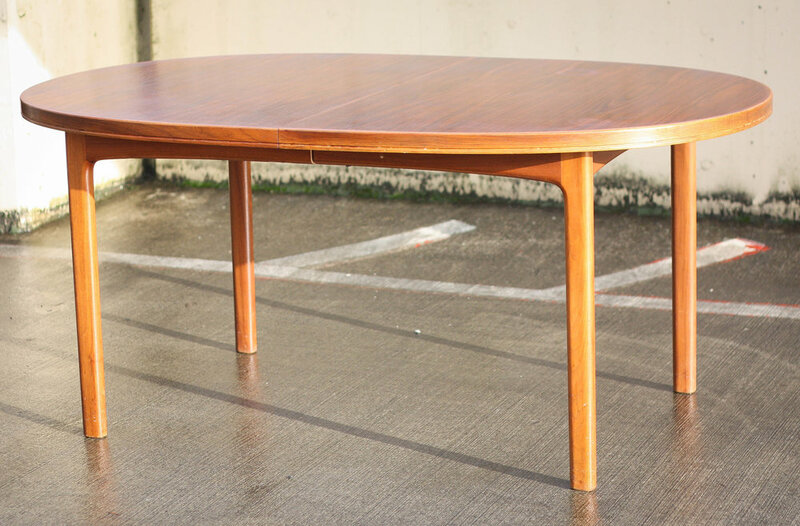 The matching table includes two leaves, and a similar design with thin edges and tapered legs. 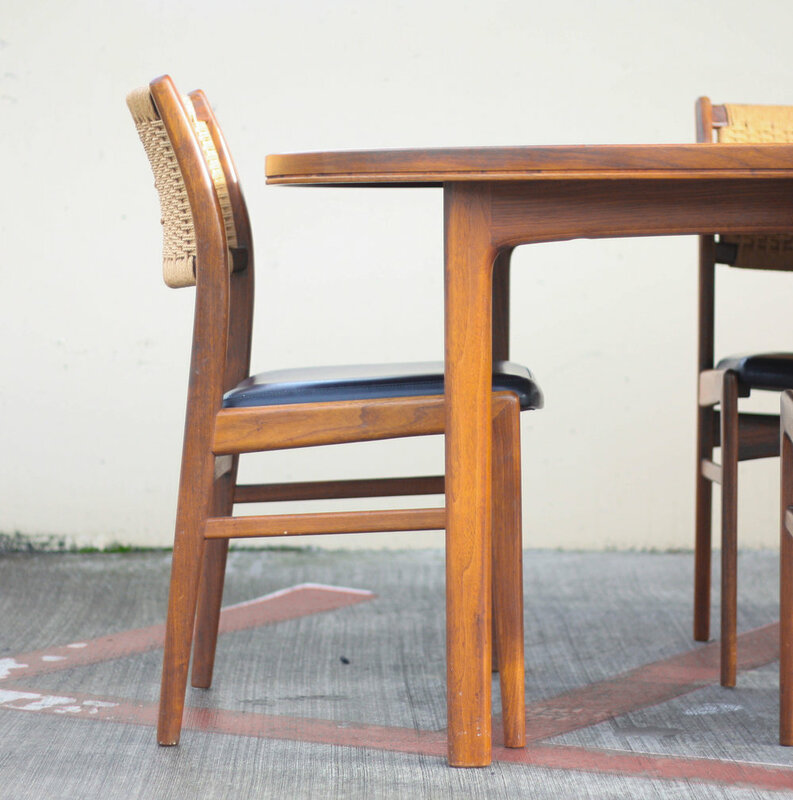 The table was constructed using high quality teak wood with highly contrasted grain. 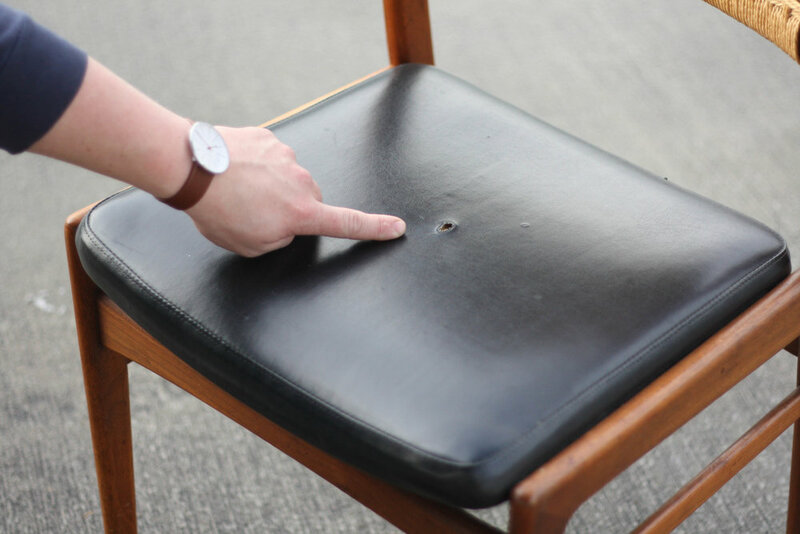 The set is in overall good condition with some slight wear as is the case with any vintage piece, however considering the sets age it looks great. 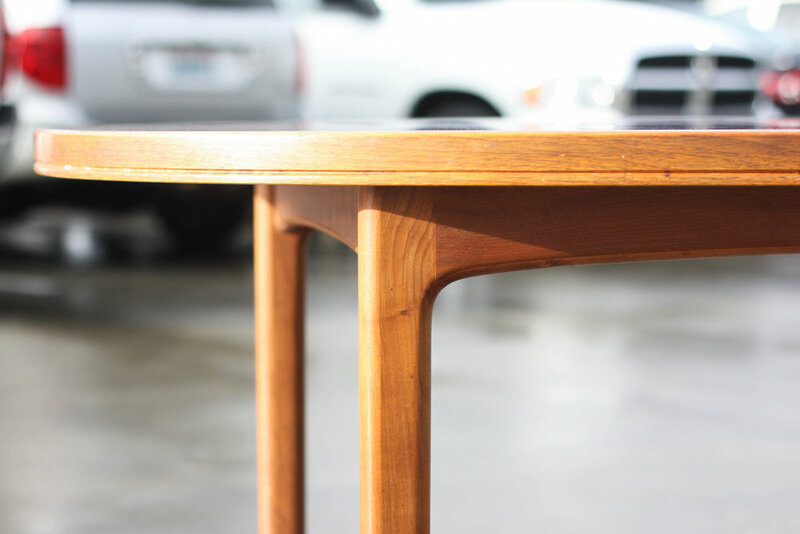 The dimensions for the table are: 29 inches tall, 42 inches wide and 60 inches long with no leaf and each leaf is 18 inches long.